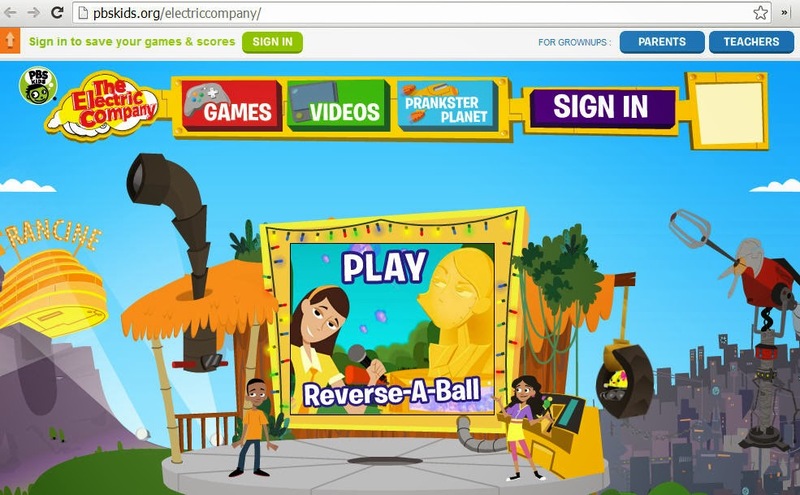 FYI to all my PBS KIDS readers: The hit show The Electric Company relaunched their website with a new look and feel and a completely new set of games. Now fully in HTML5 format, the site reflects the highly popular, animated world of Electric Company's Prankster Planet. If your kids are fans of the 2D side-scrolling game and immersive world like mine are, they'll recognize all the hallmarks of Prankster Planet on the redesigned series site: the headquarters, Wordsuckerupinator, the dinership, and Francine's bots. Playable on all portable devices, the redesigned site includes a “pet bot creator,” where kids can customize their own pet bot with different facial expressions and bodies. The bots can be used to play games, too! Check out the redesigned Electric Company site here. Disclosure: I'm a PBS KIDS ambassador which simply means I get to share great content like this with you from time to time! I was not compensated for this post.